DFWCityhomes is an established Flat Fee MLS listing Service and Full Service real estate company that represents buyers and sellers in Heath, Texas. Our clients receive a full service experience with agent representation at a fraction of the cost. Our simplified process is hassle free, proven, and effective. Heath, Texas is a premier residential community located along the shores of Lake Ray Hubbard in Rockwall and Kaufman Counties. The City of Heath is committed to preserving a special way of life where rolling hills and the sparkling lake provide a serene backdrop for beautiful neighborhoods and distinctive homes. 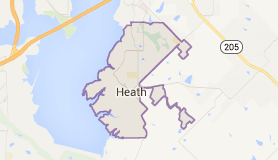 Heath is a part of the Rockwall ISD. Heath is a city in Rockwall and Kaufman Counties, Texas, United States. The population was 6,921 at the 2010 census. It is part of the Dallas-Fort Worth metroplex.